A binocular is an essential device that you need for a wide range of outdoor activities. Whether you are looking for a binocular for hunting, birdwatching, star gazing and much more, you want a reliable model that provides you with quality images. You want to have a binocular that is easy to use, affordable and packed with basic features. 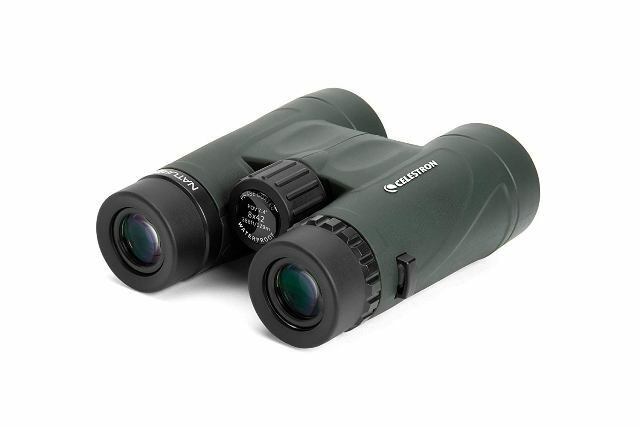 Celestron provides you with one of their bestselling binoculars. The Celestron 71332 is a quality model that is easy to use. This binocular is made of a high-quality material that makes it durable. In fact, you can use it for many years and pass it to the next generation. It features a superb construction so you don't have to worry if your hands are clumsy or drop it accidentally on hard surfaces. The binocular is designed to withstand any kind of outdoor weather condition. Here are some of the outstanding qualities of the binocular. One of the most important factors that you should consider when you are buying a binocular is light transmission. You can a quality binocular that provides you with clear and bright images. This model is designed with fully multicoated lenses that provide a high level of light transmission through the optical path. This results to crystal clear images when you are viewing your target. The premium Bak4 prism glass provides you with sharp and real images. It increases the contrast and the resolution so you can see the true color of the object that you are viewing. Sometimes you might want to mount the binocular on a tripod to get steady views. You can make good use of a Celestron tripod adapter for mounting the binocular on a tripod or monopod if you want to get steady views for a long period. 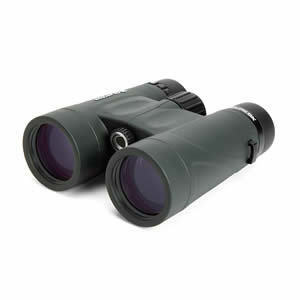 This binocular has excellent features that make it common among many bird watchers. 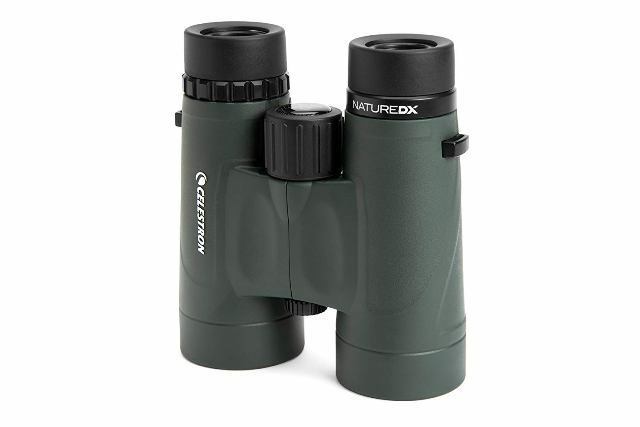 It has the right magnification, close focus distance and filed of view ideal for birding. It has a close focus of 6.5 feet so you can use it to view objects that are nearby. This binocular is filled with nitrogen and sealed. This makes it perfect for outdoor use. You can get quality images even when it is raining or foggy without compromising the status of the binocular. 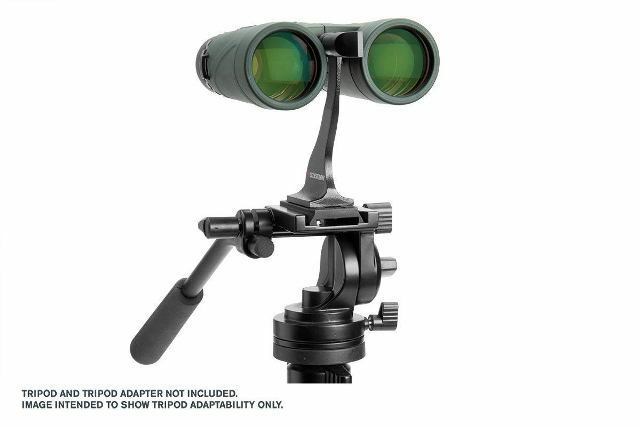 Additionally, the binocular is fully armored making it ideal for any outdoor enthusiast. 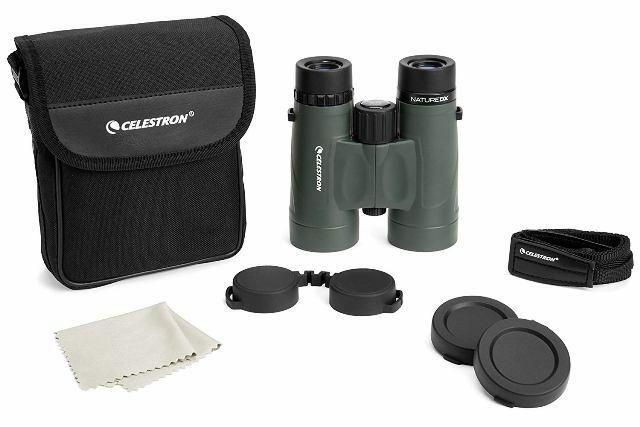 Celestron 71332 binocular is designed with comfortable twist-up eyecups that are easy to use. You can position the eyecups with multiple stops so that you can use with or without eyeglasses. This binocular comes with multiple accessories. Some of the things that you will receive in the package include neck strap, objective lens cap, eyepiece rainguard, lens cloth, carrying case and an instruction manual. Outdoor enthusiasts love carrying portable devices that will not strain you too much when you are carrying. You can be confident carrying this binocular to any place you want because it is extremely portable and light in weight. In fact, this binocular weighs around 2lbs making it compact enough to carry in your pocket. Q: Does the pair come with a case that features belt strap? A: The binoculars come with a convenient case but it does not have a belt strap. Q: What is the weight of this binocular? A: This is a nice binocular for birding. It weighs 1.25 lbs which makes it comfortable to hold. Q: Does this binocular have shock protection? A: As compared to other brands, the shock protection for this binocular is much better. Binoculars are useful devices when it comes to astronomy, hunting, birdwatching among other outdoor activities. Having the right pair will make a significant difference in your hobby. 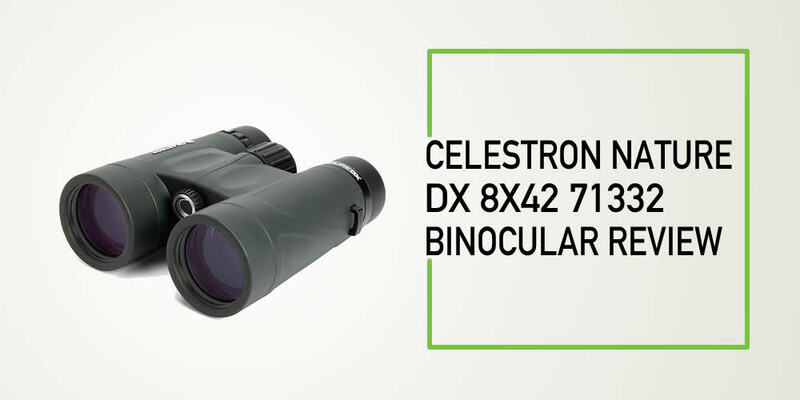 If you had trouble picking the right binocular, you can rely on the Celestron 71332. This binocular provides clear and bright images. It has an incredible optical performance and designed to handle any outdoor condition. It is also designed with a center focus wheel with ridges to provide you with an excellent grip.